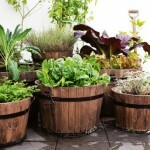 Who doesn’t like a garden full of fresh fragrance, which runs all around your home. 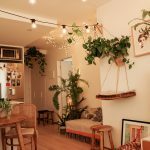 Well having these plants is the best idea to keep your house smelling great in an all natural way……. 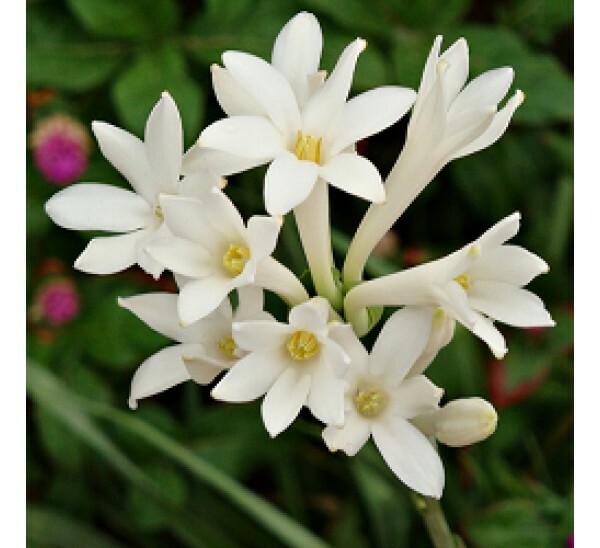 Rajanigandha– Commonly used in perfume industry, the tuberose plant is called Rajnigandha in India, and sedap malam in Indonesia, both of which mean ‘fragrant at night’. It is called Kupaloke in Hawaiian. It produces clusters of fragrant waxy white flowers which bloom from bottom towards the top of the spike. It’s rich and strong fragrance is seductive and stays for longer period. 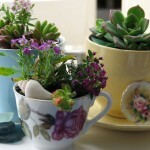 They can also be planted in pots and containers. The are slow growers but once the flowers start coming out, its delightful fragrance will not be less than an aromatherapy for our family. The fragrance is so strong that it relieves you from stress, anxiety and depression. 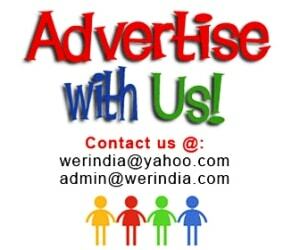 Chameli– Also known as Jasmine in English is a flowering plant which has small white flowers and often flower in bunches. An Ayurvedic medicinal plant, it is used for the treatment of wounds, skin diseases, ulcers of the oral cavity, gingivitis, headache, erectile dysfunction and eye diseases. The flowers bloom at night and has a very light pleasing fragrance. Rose Plant– We all are aware of this plant which has amazing health benefits, also it looks pleasing to eyes and comes in various colors. Its light fragrance fills up the surroundings with a nice flower aroma. Lemongrass– Lemon grass is a potent lemon-citrus herb which is one of the must have plants to have in your garden and home as it has a strong citrus spa like fragrance which keeps you relaxed all the time. 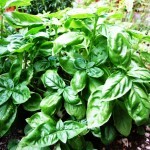 It is also a great herb which is used in teas, soups and other things. 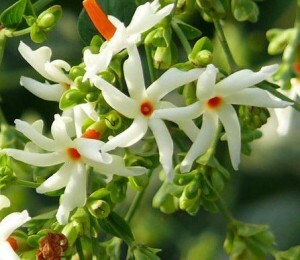 Parijat Plant– Known as night flowering jasmine and coral jasmine, the flowers of this plant bloom at night and fall at the first rays of sunlight. It has a strong and intense sweet aroma. Madhmati Dwarf– A fuss free, self growing plant has a high fragrance and the mix of colorful flowers look pleasing.